If I think about the number one food staple in my kitchen, it has to be granola. I snack on handfuls while I’m working, use as a granola cereal, make yogurt fruit parfaits, and top my desserts for added crunch. Granola is super easy to make, stays fresh for days, offers health benefits, all while satisfying my sweet tooth. Win, win! 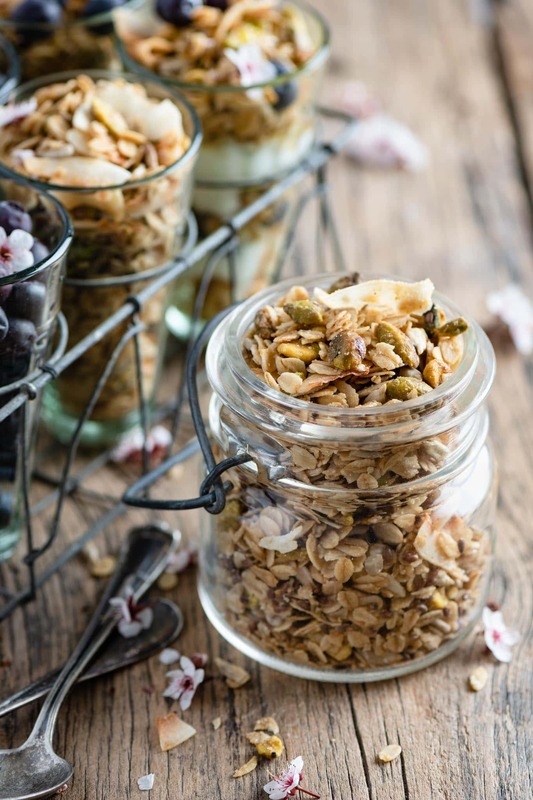 Granola is usually a mixture of nuts, oats, seeds, something sweet, and a dried fruit that is coated in maple syrup or honey, then baked. Sounds simple right? Well, it is. 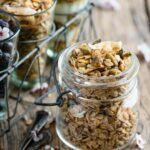 You can make fresh tasty granola in under an hour with your favorite ingredients and without preservatives. All you need is a bowl with a spoon, and a large baking tray. 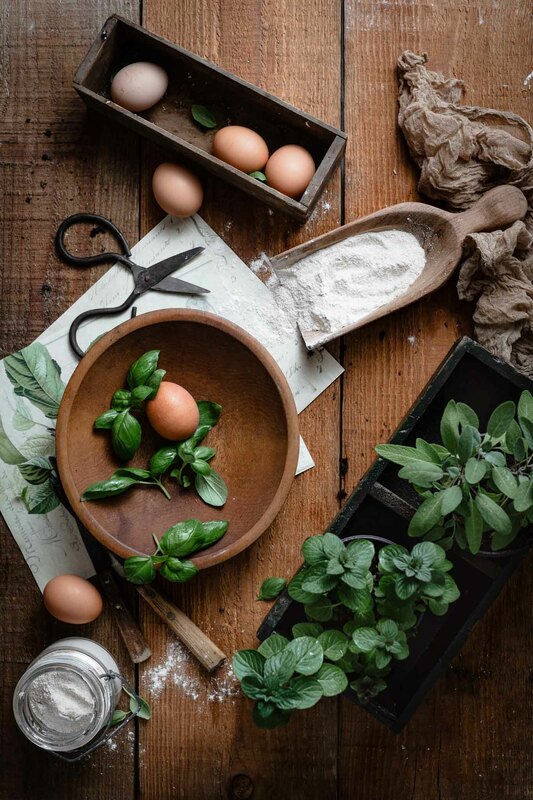 For this recipe I decided to make coconut and pistachio the stars of the show! 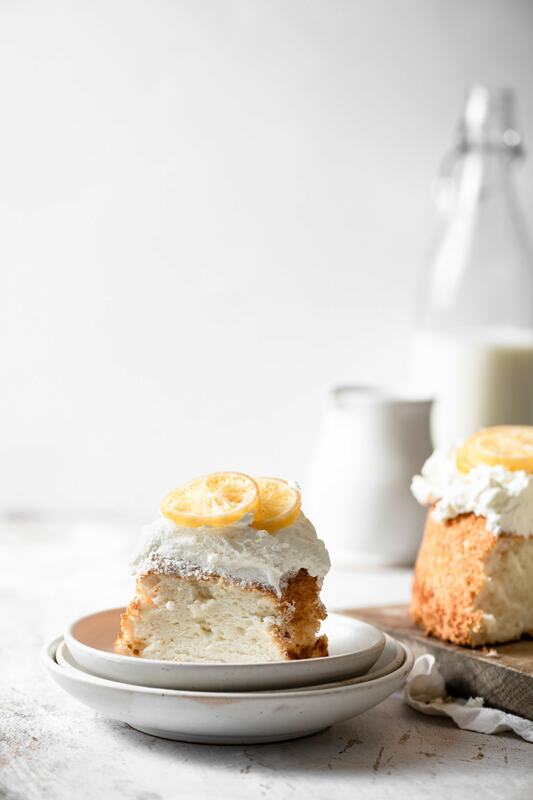 I’m obsessed with the tropical flare of coconut, so I put in just about everything. Pistachios are my go to munchy nuts, I’m sorry cashews are way down the list. Mix in a little flaxseed for digestion and all I need is a jar of pure maple syrup. 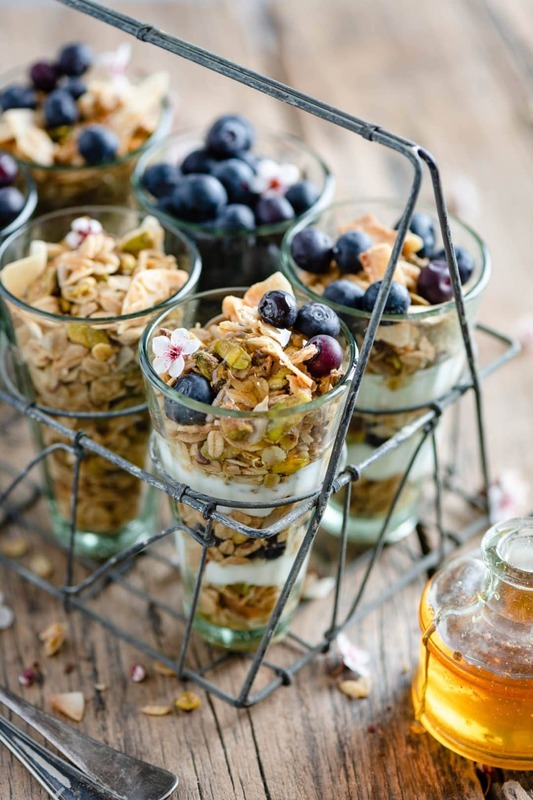 I had planned to eat this granola in a yogurt parfait with fresh blueberries and a drizzle of honey, so I didn’t add dry fruit. But you can certainly throw in some raisins or dried apricots. Add oats, pistachios, flaxseeds and coconut chips to large bowl. Pour in Maple Syrup and stir until everything is coated. Scoop granola mixture onto baking tray and place in the oven. I do recommend pulling the tray out a 2-3 times during baking and giving the granola a stir, so it bakes evenly without burn spots. Stir in dried fruit, chocolate or additional coconut at the end. You don’t want to bake your dried fruit and chocolates. Because…they will melt, resulting in a gross gooey mess! Coconut Pistachio Granola made with maple syrup, sunflower seeds, flax seeds, toasted coconut flakes, and pistachios. 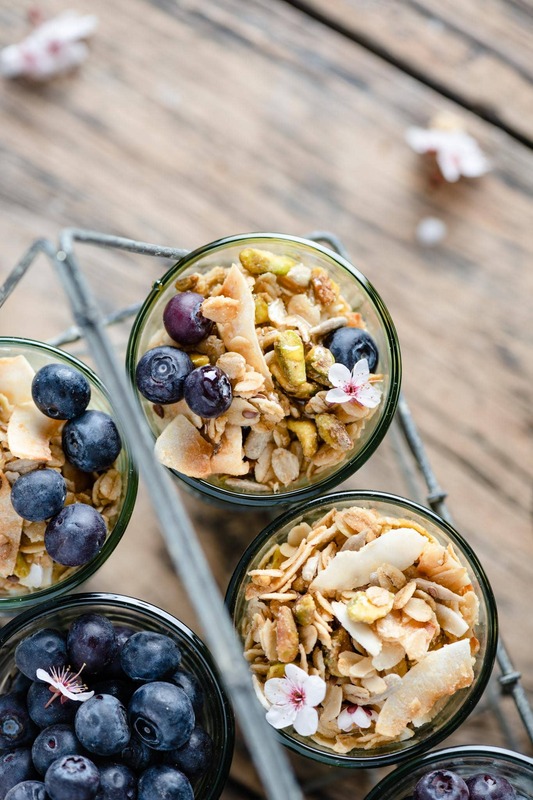 Easy homemade granola recipe! Preheat oven to 350 F (176 C) and line a large rimmed baking tray with parchment paper. 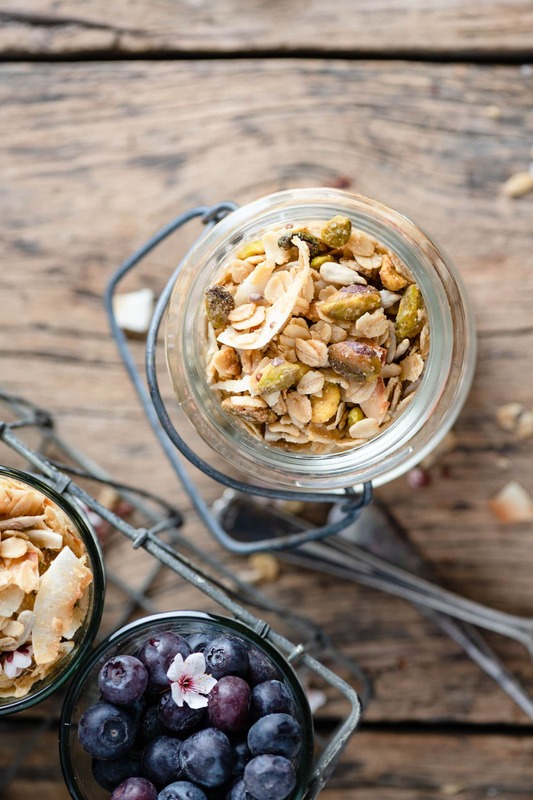 In a medium bowl mix together oats, pistachios, sunflower seeds, coconut chips, and flax seeds. In separate bowl whisk together coconut oil ,maple syrup, brown sugar, and salt. Bake at 30-35 min or until golden brown, stirring 2-3 times to prevent burning.